Don’t lie. While most of us won’t be faced with the cover-up of chopping down a cherry tree, there is a powerful message in this childhood story we all learned. Effective leaders don’t lie to their people. That doesn’t mean that they reveal confidential information. What it does mean is that they build trust with their people, provide them appropriate information when possible and refrain from telling blatant lies. People understand that some information must be kept confidential. But people don’t accept or forgive liars easily. Be mindful of who you put in the boat. When Washington crossed the Delaware River, it was critical that he have the right people with him. As leaders, we need to do honest assessments of our strengths and weaknesses and ensure that we surround ourselves with the skills, talents and commitment needed to accomplish our goals. Focus on winning the war, not all the battles. It’s a fact that Washington lost more battles than he won, but his strategic view, his ability to rally the troops and influence the other leaders of the American Revolution, still makes him one of our greatest executive leaders. Continue to grow and learn. 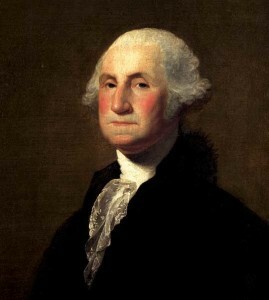 Part of what contributed to Washington’s effectiveness as a leader was his diversity of interests. Although deprived of a college education due to lack of family finances, he became trained as a surveyor. This taught him the importance of land and location. He spent his life in self-education. Described by Thomas Jefferson as “the foremost farmer in America,” he was a pioneer in many aspects of farming. As a delegate to the First and Second Continental Congresses, he studied, listened and learned about key elements in establishing a government. When appointed as Commander of the Continental Army, he used his training in the British army as a foundation but surrounded himself with people of different military experiences to expand his knowledge. George Washington was not a perfect leader – I’m still on the hunt for who that is! However, many of his approaches and actions are at the core of what good executive leaders should be embracing in the twenty-first century. Please share your observations and thoughts of what you see as key leadership traits. Need help with executive leadership development or executive coaching programs? We can help! Mary Ann Gontin is Managing Partner of OI Partners – Cunis & Gontin, Inc. in Connecticut. Her firm has been providing human resources consulting services since 1974. Mary Ann has become recognized by clients for her ability to identify organizational and individual performance issues and propose creative and practical solutions. She can be reached at mgontin@oipartners.net or 800-473-4507.